2019 Literary Agent Analysis – Gender Edition - The elusive literary agent: who they are, what genres they prefer, and what does it take for them to love me. Okay, maybe not the latter. 2019 Literary Agent Analysis – Genre Edition - The elusive literary agent: who they are, what genres they prefer, and what does it take for them to love me. Okay, maybe not the latter. O Agent, Who Art Thou? - The elusive literary agent: who they are, what genres they prefer, and what does it take for them to love me. Okay, maybe not the latter. Q&P Season Finale – Episode 7 – Agent U - The dedicated people who reply to queries are members of an exclusive elite squad known as literary agents. These are their stories. 1022 Queries Mash-up - The dedicated people who reply to queries are members of an exclusive elite squad known as literary agents. These are their stories. Q&P Episode 6: Agent V - The dedicated people who reply to queries are members of an exclusive elite squad known as literary agents. These are their stories. Q&P Episode 5: Agent W - The dedicated people who reply to queries are members of an exclusive elite squad known as literary agents. These are their stories. Q&P Episode 4: Science Fiction Special - The dedicated people who reply to Science Fiction queries are members of an exclusive elite squad known as literary agents. These are their stories. Query Rejections Due To Word Count - Analysis of tweets from agents that specifically rejected queries due to word count. Q&P Episode 3: Agent Z - The dedicated people who reply to queries are members of an exclusive elite squad known as literary agents. These are their stories. Q&P Episode 2: Agent Y - The dedicated people who reply to queries are members of an exclusive elite squad known as literary agents. These are their stories. Q&P Episode 1: Agent X - The dedicated people who reply to queries are members of an exclusive elite squad known as literary agents. These are their stories. 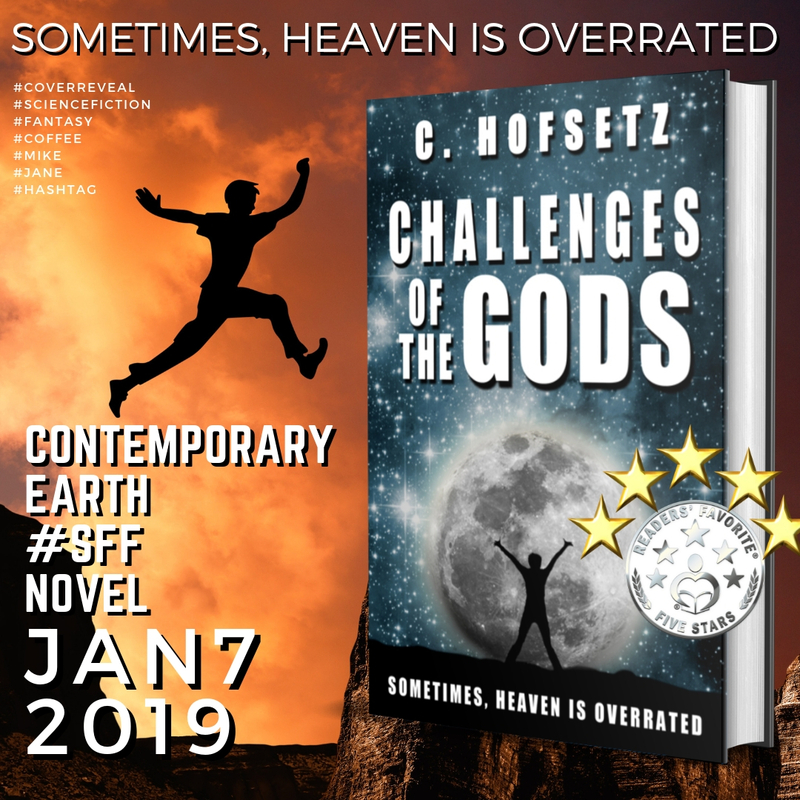 My debut science fiction and fantasy novel Challenges of the Gods published by The Wild Rose Press is available now, and it's a five stars Readers' Favorite! Don’t tell; show me the glint of light of my burning novel. It's launch week! And a great review from The Reading Bud.